Perspective is everything; I love helping my clients understand the difference between a good house and a great home. After 10 years managing a tech-based business in the residential construction industry, I know that my perspective is unique. 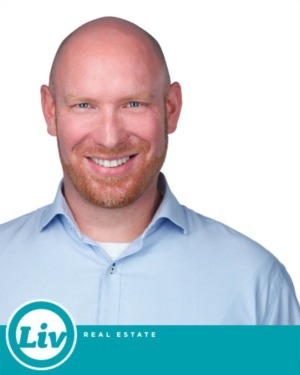 The vast amount of acquired knowledge and life experience that I have gained in this field is an invaluable asset to my clients looking to buy and sell Residential Real Estate in Edmonton. Born and raised in Southwestern Ontario; my parents instilled in me the values of integrity and respect. I studied electronic engineering but quickly discovered that getting shocked every day wasn’t really for me. Eventually, I caught the “go west” bug and packed my car and found myself here, where I instantly fell in love with Edmonton and all it has to offer. The possibilities for new and current residents in Edmonton are literally endless; one of the main reasons why I love this City and chose to make it home. I also love the vast amount of trails to walk my dogs, the trees changing colour where everyone pulls over outside of Griesbach to get a selfie. How on a really hot day, Edmonton makes a beach randomly appear (I’m looking at you, Accidental Beach) for everyone to enjoy. I love that every weekend there is a new festival and I especially love the diversity of great restaurants this city has to offer. My passion for the industry eventually brought me to Liv, where I can continue with my focus on client experiences and bringing all the right tools to help everyone find their perfect place to live. I would Liv it up with the first 25%, the other 75% I would invest in real estate so I could Liv it up for years to come. I would love to go to Italy, all the history and architecture. They clearly built their structures to last…. Plus the best coffee in the world. Find a way to live another 48 hours.